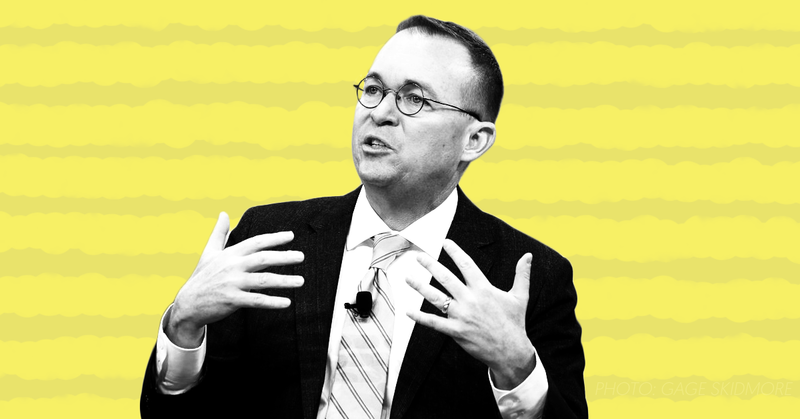 Fox News’ morning show, Fox & Friends, completely ignored the bombshell report that Mick Mulvaney, President Donald Trump’s interim director of the Consumer Financial Protection Bureau, admitted that when he was a congressman he wouldn't meet with lobbyists unless they had made financial contributions to his campaign. The next morning, Fox & Friends did not mention the story at all in its broadcast. The other cable news morning shows, CNN’s New Day and MSNBC’s Morning Joe, discussed the news in detail throughout the morning. While much of the coverage was critical of Mulvaney’s behavior, some pundits, including CNN’s David Gregory and Columbia University professor Jeffrey Sachs, diminished his ethical pitfalls and blamed the American political system for allowing this type of corruption. Others correctly noted that these type of ethical scandals are particularly prevalent in the Trump administration. Fox & Friends has gone to great lengths to cover up other scandals in the Trump administration. The show has downplayed Environmental Protection Agency chief Scott Pruitt’s ethics problems, avoided coverage of Trump aide Rob Porter’s reported domestic abuse, and attacked other media outlets for reporting on administration scandals.